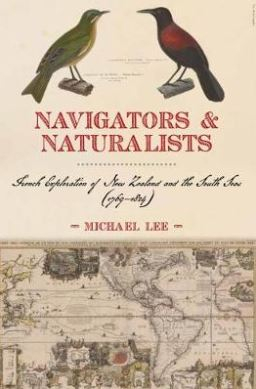 Navigators & Naturalists : French Exploration Of New Zealandand The South From 1769-1824 - ubiq bookshop: the best place to buy books! This book seeks to redress this balance, drawing in the main on primary sources (both here and in France, and including primary research from original French documents never before translated into English) and scholarship from key researchers in this field. As well as fascinating descriptions of what the French saw when they travelled around New Zealand's coast, Lee focuses on the key characters of this age of French exploration (names such as de Surville, du Fresne, La Perouse, D'Entrecasteaux, Duperrey, Freycinet, D'Urville and Lesson), their relationships with Maori and the desire of France to complete with the British in the Pacific. Featured in the 28 August 2018 New Zealand newsletter.